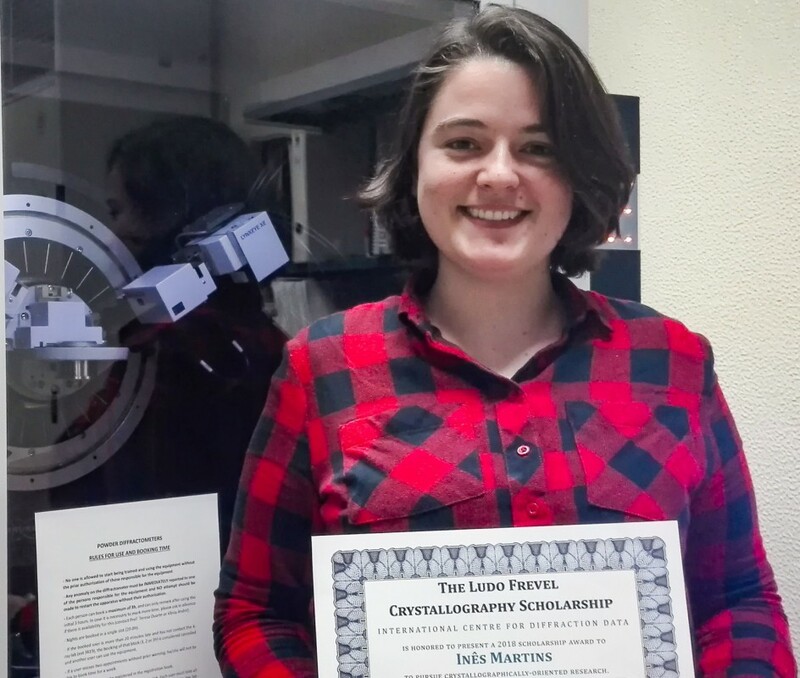 Inês Martins, a PhD student of CICECO-UA, CQE-IST and LAQV-REQUIMTE, under the supervision of Dr. Luís Mafra, Prof. Maria Teresa Duarte and Dr. Luís Branco, was awarded with the Ludo Frevel international scholarship prize in the amount of $2.500 for developing the project “Structural Study of New Multicomponent Crystal Forms of Neuroleptic Drugs using NMR Crystallography as a Synergestic Tool”. The work is based on the complementarity of using powder X-ray diffraction and solid state NMR for solving crystal structures. The Ludo Frevel crystallography scholarship fund was established by the International Center for Diffraction Data (ICDD) and aim to encourage promising graduate young students to pursue crystallographically oriented research. 10 paticipants (8 from EUA, 1 from Venezuela and 1 from Portugal), received the Ludo Frevel prize, from a total of 62 worldwide applicants.